Your privacy is important to us. DraftKings, Inc ("DK", "we" or "us") has prepared this notice to describe to you our practices regarding the personal information we collect from users of our website located at http://www.draftkings.com (the "Website"), our mobile application ("Application"), and our online gaming products and related services available through Website and the Application ("Services"). This notice does not apply to websites, applications or services that do not display or link to this statement or that display or link to different privacy statements. 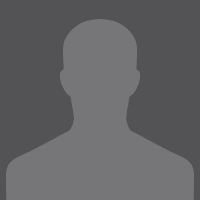 We will collect your profile photo and user name that you upload to your public profile page ("Profile"). When you participate in any contest, game or other gaming related promotion on the Services (each a "Game" or collectively, the "Games") other participants in the Contest (each, a "Player") will be able to see the information in your Profile. Pixel Tags. In addition, we use "Pixel Tags" (also referred to as clear Gifs, Web beacons or Web bugs). Pixel tags are tiny graphic images with a unique identifier, similar in function to Cookies, that are used to track online movements of web users. In contrast to Cookies, which are stored on a computer's hard drive or web browser, Pixel Tags are embedded invisibly in web pages. Pixel Tags also allow us to send email messages in a format that users can read, and tell us whether emails have been opened to, in part, ensure that we are sending only messages that are of interest to our users. We may also use this information to reduce or eliminate messages sent to a user. Referral Affiliates. We may enter into agreements with companies that refer users to our Service by way of hyperlinks made available on the referring party's website. We may automatically collect certain information, such as [your IP address, referring website, and your IP address] via the Cookies and Pixel Tags that are provided to us in connection with your use of the referring party's website. This policy does not apply to, and we are not responsible for, Cookies or Pixel Tags provided by third party Websites. You may invite a friend to register on our Services by providing us with their email address. We will collect the email address(es) you provide in order to facilitate that invitation. We rely upon you to obtain whatever consents from the third party that may be required by law to allow us to access and upload the third party's names and e-mail addresses as required above. If you are using the Application to refer-a-friend, the Application may also collect your phone number which we may use, among other purposes, fraud prevention and user authentication purposes. You or the third party may contact us at support@draftkings.com to request the removal of this information from our database. We may enable you to send your friends an invite to register on our Services via text message. We employ various techniques in order to enable you to invite your friends via text message, including offering contact importer tools to facilitate adding to your contacts (including contacts in your address book) so that you can more readily ask your contacts to join the Services in and communicate with you through the Services. With your permission, we will access your address book, and import your contacts' names, e-mail addresses, phone numbers, image, geographic location and any other information associated with your contacts to determine which of your friends have not registered for an Account. The text message that is sent to your friends will come from your phone number so that your friends know that you want to invite them to visit the Website. We also collect your phone number during this process to send you a text message for account verification purposes, along with some settings that help us to interpret your data, such as the language and keyboard settings that you have established, and the phone's carrier, mobile network code and mobile country code. Find-a-Friend. Our Services may enable you to invite your friends who have an Account to join a Contest. In order to invite friends with Accounts to join a Contest, you may either enter (1) your friend's username associated with their account to find and locate them or (2) in the event you are using our Application, use our contact importer tool to import and search through your contacts (including contacts in your address book) to match those of your friends who are also registered users of the Services. With your permission, we will access your address book, and import your contacts' names, e-mail addresses, phone numbers, image, geographic location and any other information associated with your contact to facilitate automatic connection with your friends. A California resident who has provided personal information to a business with whom he has established a business relationship for personal, family, or household purposes ("California customer") is entitled to request information about whether the business has disclosed personal information to any third parties for the third parties' direct marketing purposes. In general, if the business has made such a disclosure of personal information, upon receipt of a request by a California customer, the business is required to provide a list of all third parties to whom personal information was disclosed in the preceding calendar year, as well as a list of the categories of personal information that were disclosed.